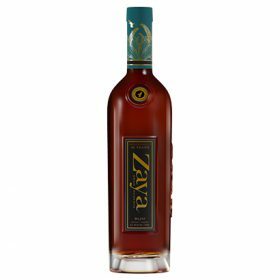 Trinidad and Tobago-made rum Zaya Gran Reserva has been relaunched with a new age statement of “aged up to 16 years”. The expression is said to have notes of vanilla, caramel, cocoa, apple, banana and cherry, leading to a “heavy, velvety smooth finish”. Zaya Gran Reserva Rum has been bottled at 40% abv and has been given a new packaging design to reflect its updated recipe. The bottle now features a “slimmer, sleeker” glass design with a longer neck to allow “ease of pouring”, topped off with a cork closure. The label also incorporates the brand’s home, Trinidad and Tobago, which is also known as the ‘land of the hummingbird’. As such, the new design features this phrase and a gold hummingbird on a medallion, which sits between the neck of the bottle and the label. The teal accents on the bottle and label are a nod to the tropical waters that surround the island. Zaya Gran Reserva is available from select retailers across the US and online, including Shop Wine Direct, for an RRP of US$29.99 per 750ml. It is being imported by Infinium Spirits.